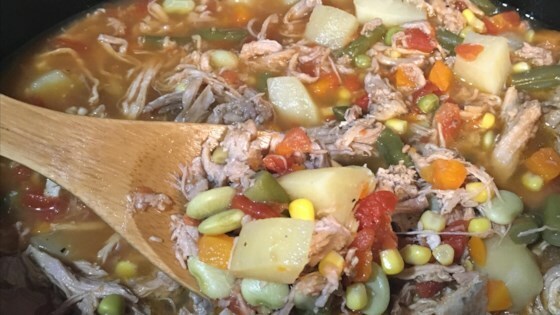 "Easy stew to make in your slow cooker with leftover pulled pork." Combine chicken broth, pulled pork, mixed vegetables, tomatoes, potatoes, pepper, and Worcestershire sauce in a 4-quart slow cooker. Cook until flavors are well combined, about 2 hours on High or 4 hours on Low; the longer the stew cooks, the better the ingredients blend together. See how to make a flavorful beef stew with vegetables in a slow-cooker.